We know accidents happen. When it is time to clean your sleep sofa, please contact your retailer for the cleaning codes of your respective fabric. S: Spot clean with mild, water-free, dry-cleaning solvents only — do not use water and do not soak the spill or stain. Instead, pre-test a small, out-of–sight area of the fabric before tackling the entire stain or spill. If your sofa is covered with a pile fabric, use a non-metal, stiff-bristle brush like a toothbrush to clean the stain or spill more thoroughly. For stains that cover the entire sofa, call a professional cleaning service rather than attempt to clean it yourself. W: Spot clean the stain or spill using only a water-based shampoo or-foam upholstery cleaner. Pre-test a small, out-of–sight area of the fabric first to make sure it won’t discolor the fabric. For stains that cover the entire sofa, call a professional cleaning service rather than attempt to clean it yourself. WS: Spot clean the stain or spill using only an upholstery shampoo, a mild foaming detergent, or a mild, oil-based dry-cleaning solvent like Energine, Carbona, or Renuzit. 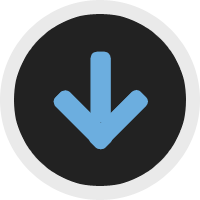 Be sure to pre-test a small, out-of–sight area of the fabric first. X: Fabrics with this code should be cleaned only by vacuuming or lightly brushing the stain or spill with a non-metal, stiff-bristle brush, like a toothbrush. Do not use any water or solvent-based cleaners or you risk staining, shrinking or distorting the fabric. What are “Bella Proof” Performance Fabrics? Sleeper sofas see a lot of action. They are opened and closed frequently, slept on by our furry friends and have drinks or ice cream spilled on them by our favorite kids and guests. Overnight Sofa’s performance line of fabrics is named “Bella Proof”, which is inspired by our dog Bella who loves a good snooze on our sleeper sofa! Our Bella Proof performance fabrics are easy to clean, resist stains and repel moisture, offering greater durability, color-fastness and flame-resistance than conventional fabrics. 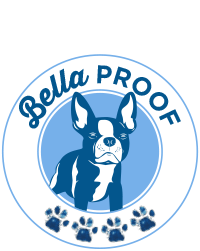 Look for our “Bella Proof” logo indicating we believe in the cleanability of the fabric. 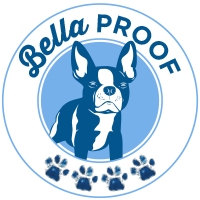 While many of our fabrics are considered Bella Proof, there are a few that Bella highly recommends. Revolution fabrics are durable, easy to clean with household cleaners and soft to the touch. They are 100% recyclable and made in the USA, from fiber to fabric. Their upcycled, fade-resistant fibers make them a smart choice for rooms that receive a lot of sunlight and traffic. 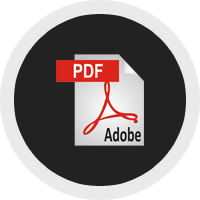 Please visit Revolution’s website for more information. Sunbrella has been the leader in performance fabrics for over 45 years. They are an excellent choice for protecting indoor furniture while giving you an upscale style that’s easy to care for and maintain. Colors will stay strong and vibrant even through intense sunlight exposure and cleaning with bleach. Please visit Sunbrella’s website for more information.